The first major PlayerUnknown’s Battlegrounds tournament kicked off in Berlin today, on July 25. It’s the first of its kind, bringing the battle royale phenomenon out of the millions of homes it’s played in around the world, and onto the public stage. Of course, such a move came with many questions of whether the genre would work in such a setting, as an esport with a £2 million prize pool. 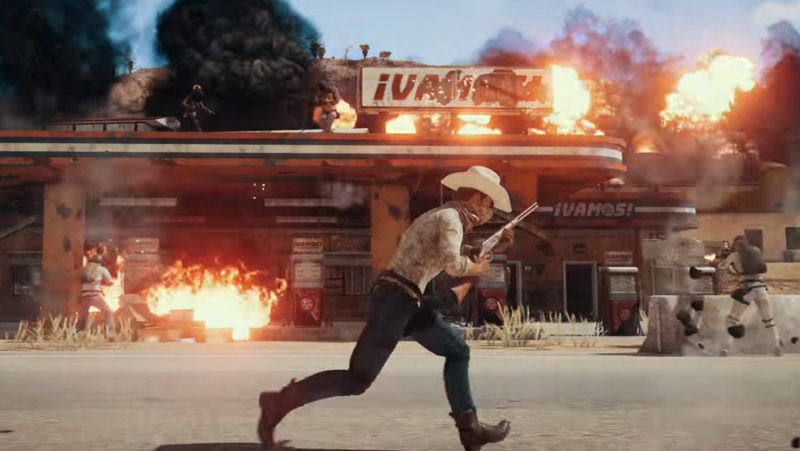 Pre-empting that wave of doubt, PUBG Corp held a press conference the day before the tournament, announcing a five-year esports roadmap to convince the world that PUBG is a mainstay in the esports calendar from here on out. The roadmap, which includes a road to pro – from amateur leagues right the way through to a world championship – has been well received by the professional players, but it appears PUBG Corp has much more up its sleeve. 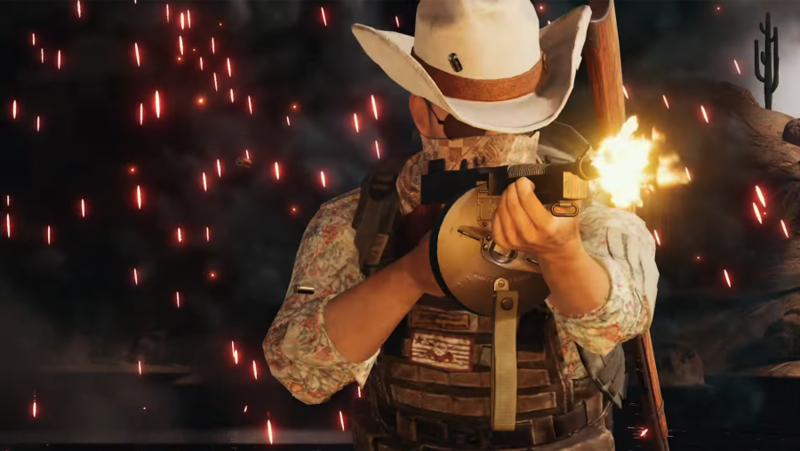 Hours after the announcement, we hunted down Brendan Greene, PUBG’s creative director, to talk all things esports and the upcoming tournament. Around us, in the grand halls of Berlin’s Mercedes-Benz Arena, preparations for the start of the PUBG Global Invitational were underway. PCGamesN: People joke that PUBG isn’t esports ready. What have you been doing to make sure it’s equipped for an esports tournament of this size? Brendan Greene: It’s something I’ve always said – we’re not esports ready, and we’ve never said we’re esports ready. This year is all about getting the game to be esports ready. PUBG may not be esports ready but we attended the Berlin Global Invitational tournament to see how far it has to go. Considering it had people parachute onto the stage, it's already most of the way there. This is really an experiment with the format and with the way we will spectate it. No one has really done battle royale esports before, so we’re trying to show to the world that this type of esport is possible, and although it’s challenging, we are committed to working on it. We have announced a five-year plan on working on it this year, and it’s about spending the next few years making this platform truly esports ready so that it can be sustained for the next five or ten years. Can you talk us through the decision making process of the five-year roadmap? We have a new CMO, Jung Hyun Kwon, who is ex-Riot and helped launch League of Legends in Korea. He has sat down and really tried to come up with ways that we can support both the amateur competition up to the pros and provide that path to pro for our players. For us, it’s really important to provide a sustainable infrastructure for an esport. I think, looking at all the current set of esports, we are still seeing people trying to find the best way to support players because really they are the core to any esport. We are trying to find a way to provide a sustainable platform that the players can survive on, that they can have a pathway to pro on, and a career playing PUBG – and that is super important to us. Will we see aspects of the game redeveloped as part of the esports roadmap? We really want to stabilize the platform. We have to make the game competitive, and that means getting all those nitty-gritty bugs out and all the quality of life improvements that the players want, so we may add new features and add new functionality to the game. But really it’s about taking what we have and really polishing it to make it as competitive as we can. There are two teams here that aren’t backed by an organisation. How will road map help support pros on the scene? We realise that you have to support the players that compete in your game. As you said, we see two teams here who have lost their sponsors, essentially, and they found it hard to come here – but that’s what we want to prevent. Teams shouldn’t have to worry about finding a sponsor and now they know there’s a model that will help them survive. Why have you changed the way the bluezone works for this tournament? We have been working on the blue zone settings with the pros for some time now, looking at the data from the matches we played and from the live servers. So working with the teams and the organisations, we have come up with this sort of esports ruleset that provides a slightly fairer battleground for people to fight on at a competitive level.